The 4W Large Blue Roller Case from the Oxygen range is lightweight with reinforced corners and a fully lined interior so your possessions will never arrive damaged. With top and side padded carry handles and an extendable trolley handle, you can travel by land, air or sea with ease. 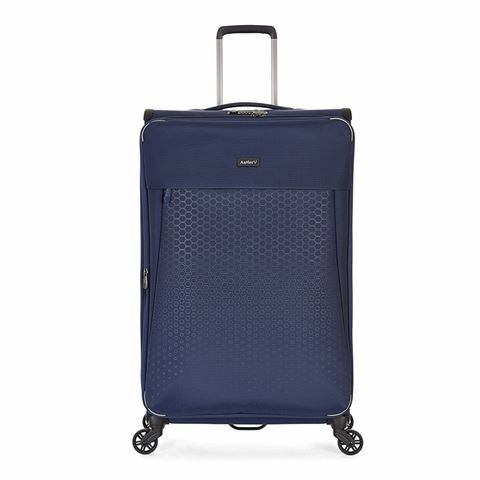 The main compartment of the bag includes a TSA approved combination lock for all your valuables and there is a handy front compartment for a laptop. The lightest is its class with a super-strong frame structure and with rip resistant fabric you can rest on a long flight with peace of mind. Dimensions: 48cm(l) x 81cm(h) x 30cm(w). 93cm(h) With handle fully extended.